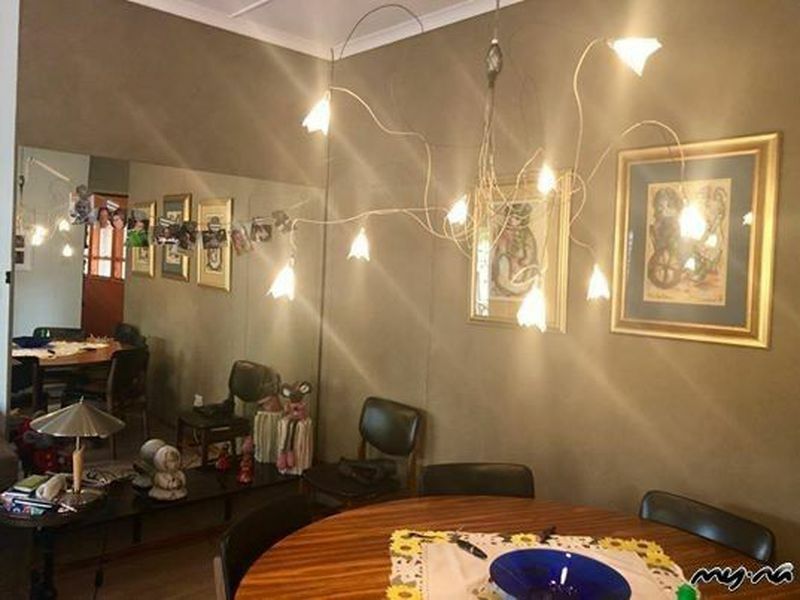 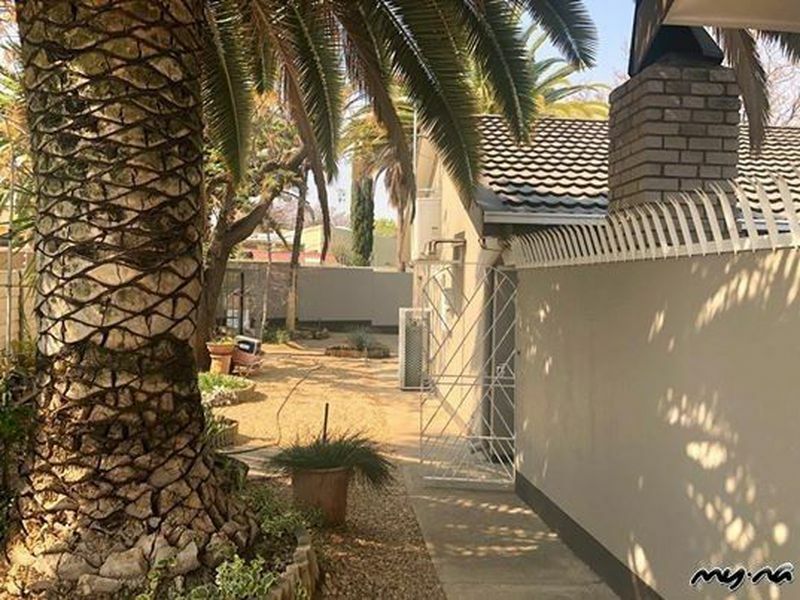 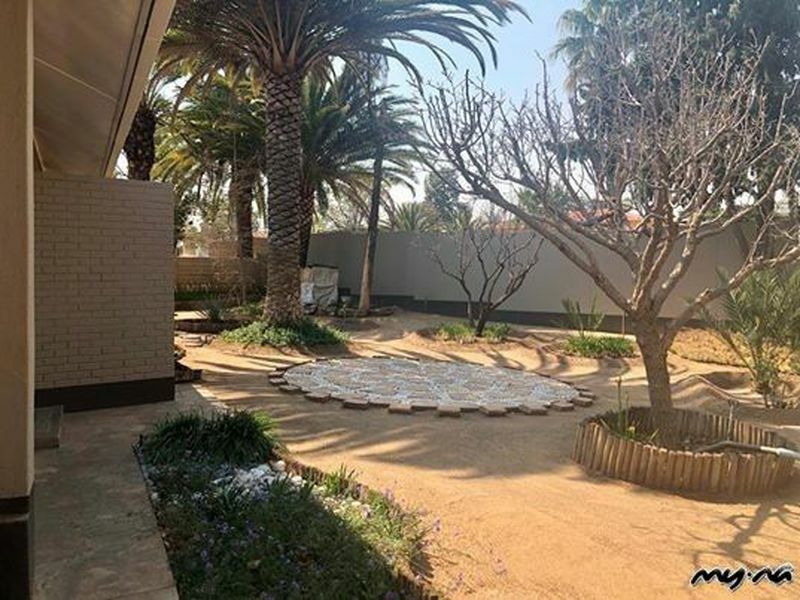 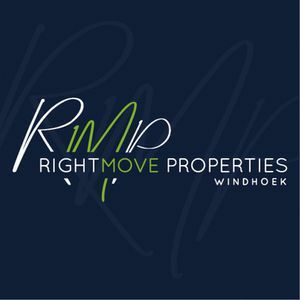 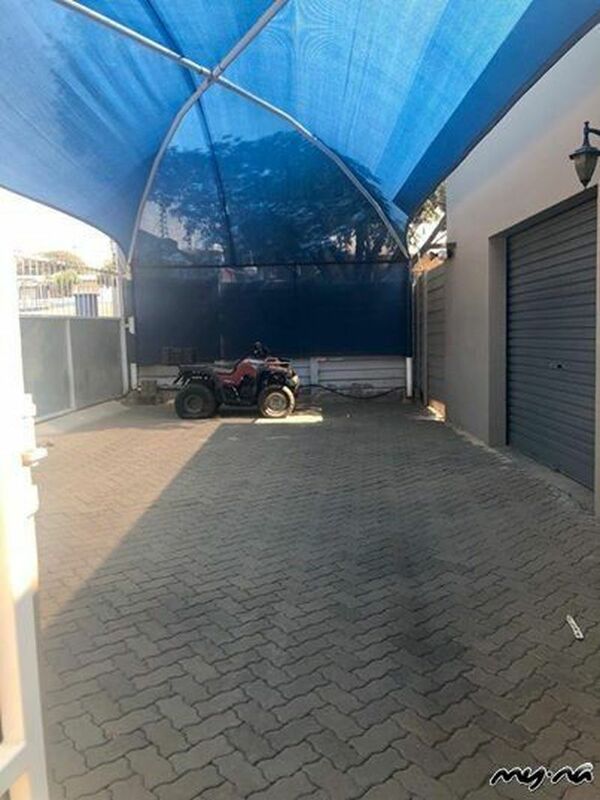 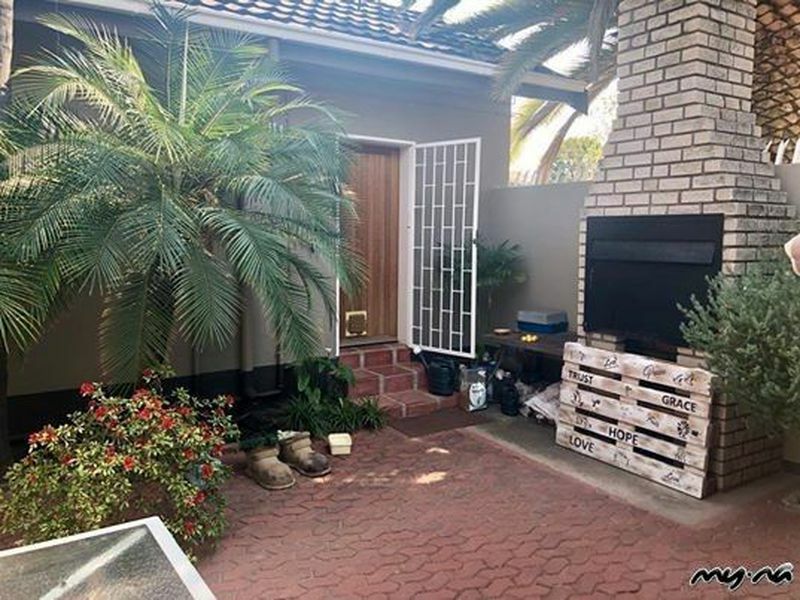 This Lovely neat house is set on an erf of 1200m2 and offers 3 Bedrooms, 2 Bathrooms ( Main Bathroom en-suite) and a 1 Bedroom Flat. 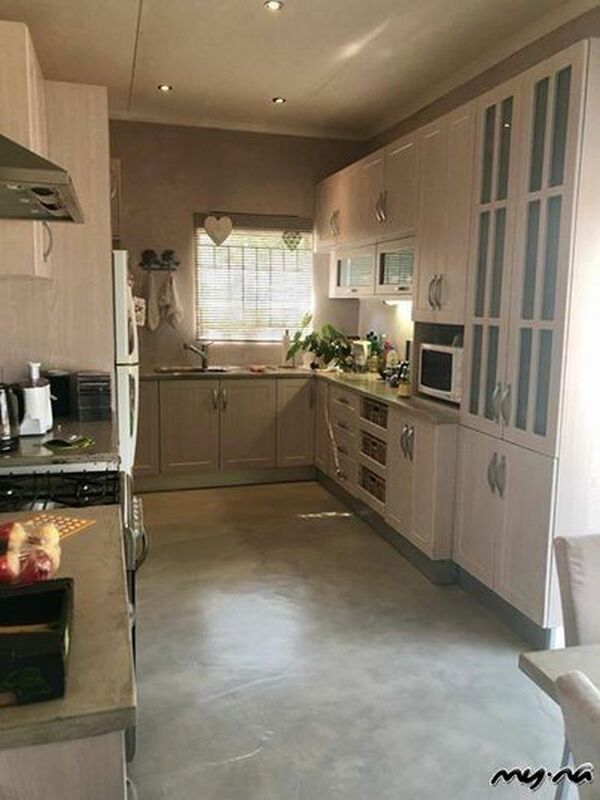 MODERN kitchen, living room , dining room, front and back patios, BBQ , two single garages , double carport , adequate garden space for children and pets. 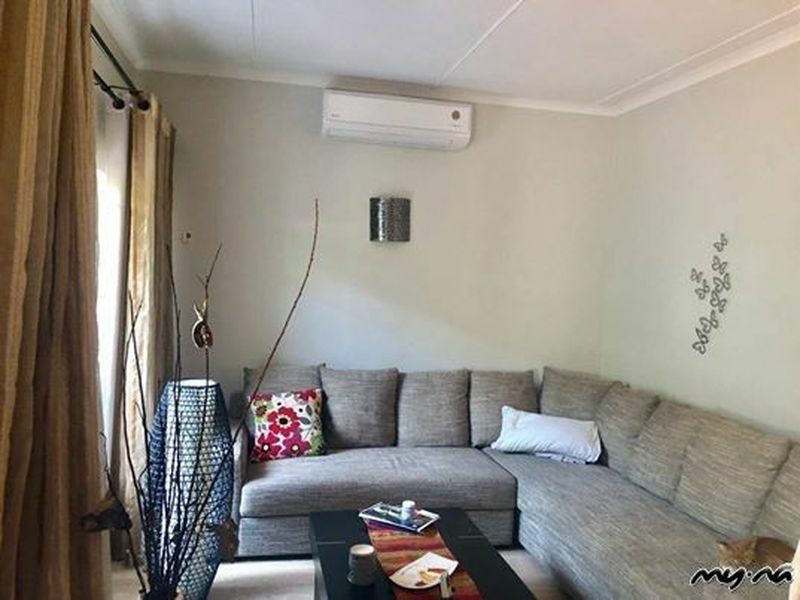 Located close to shops, sport ground & other amenities.